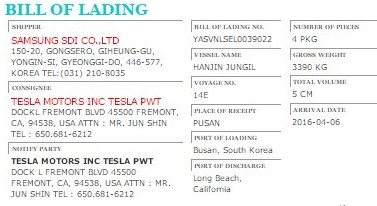 Last week, a bill of lading was shared on twitter via Portexaminer.com of what appears to be a Tesla Motors delivery of 249,000 lbs of Li-ion batteries type 18650 from Samsung SDI hinting of a potential contract looming ahead between the two companies. 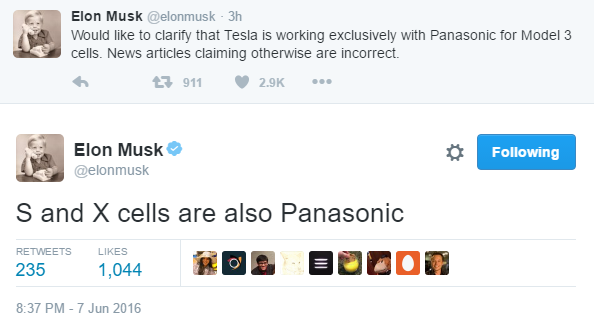 However, following Reuters report yesterday about Samsung SDI being in advanced talks with Tesla to supply type 18650 batteries - similar cell format to Panasonic's - for the U.S. automaker's Model 3 electric car as well as its energy storage products, Elon Musk went on twitter to clarify that Tesla is working exclusively with Panasonic for battery cells of Model 3 as well as the Model S and Model X.
Musk then confirmed that LG Chem Ltd. will supply the batteries for the Roadster 3,0 and Samsung SDI for the Powerwall, Tesla confirmed last year it had signed a contract with South Korean battery maker LG Chem Ltd. for upgrades to the Roadster 3.0 with the new battery cells needed for the sports car's new 400 miles range, a 35% improvement on the previous version. This new battery pack stores roughly 70-kWh - a 40% boost - and will set you back $29,000, including replacement fees. In addition, it is heavier than the older one. 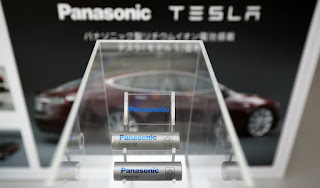 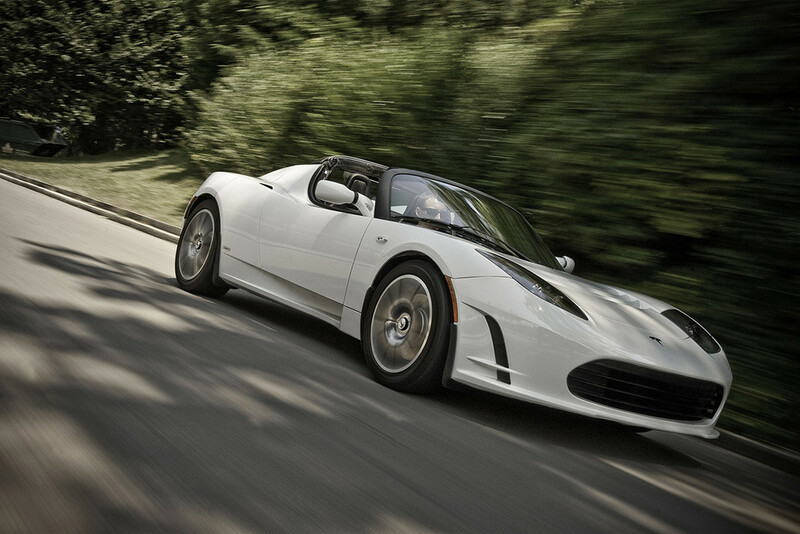 Last month, Model 3 reservations were hovering around 373,000 while Tesla was rumoured to add LG Chem, Samsung SDI or SK Innovation to the list of battery suppliers to meet the 500,000 production volumes by 2018. 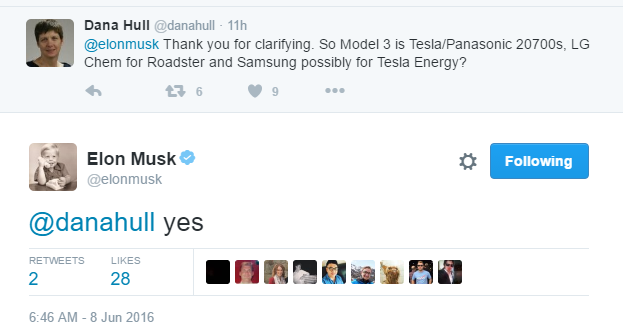 Elon Musk has then stressed the importance of all suppliers meeting the delivery of parts deadline set by the company on July 1, 2017.